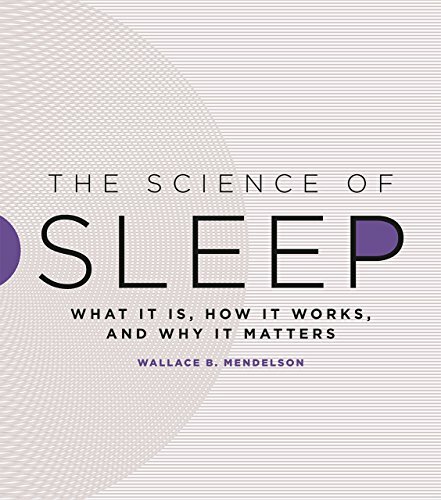 Review of "The Science of Sleep"
In The Science of Sleep: What It Is, How It Works, and Why It Matters, Wallace B. Mendelson provides an insightful as well as accessible overview of the phenomenon of sleep. The overview is effectively organized into topical chapters, each answering a set of key questions likely to be asked by a special kind of reader, one that not only is curious about sleep, but also values scientific rigor in the answers he/she receives. The author's narrative begins with conventional matters involving the main features of sleep and its functional and structural components. Then, it moves to more specialized topics (e.g., sleep disorders). As if it were an artfully delivered series of lectures to a diverse audience, the book unfolds a path that, if pursued, is more a stroll than a hike. This path, while effortlessly and naturally followed, is by no means ever a dull or uneventful one. In fact, inside the path carved by the author, the mastery of key concepts, including basic processes and their underlying structures, is encouraged before physical anomalies or atypical functioning are introduced. Interestingly, the complexity of the phenomenon of sleep is solidly cast into the layers of diverse levels of analysis, all skillfully interconnected. As the layers of the complex phenomenon of sleep are gradually peeled back one by one, the author's narrative remains ceaselessly intriguing, leading the reader to attempt to anticipate the next set of questions to eagerly await the sought-after answers. In the author's web of concepts and examples, the equilibrium between references to typical and atypical functioning, and between nomothetic and ideographic perspectives (through the insinuation of curious events into the narrative of averages), is cleverly preserved and often used to maintain the reader's attention. As a result, Mendelson's narrative is never too technical to be cryptic, and content never too remote to lose its real-world appeal. Another noteworthy feature of the author's account of sleep can be found in his review of common disorders of the sleep cycle. Content conforms to the standard medical model by which the expert identifies the prevailing pattern of symptoms, speculates about its etiology, considers treatment options, and discusses likely prognoses based on such options. Within this model, the recognition of the limits of current scientific knowledge and tools is delivered in an appropriately somber tone. As such, the book is a testament to the author's expertise as well as evidence of his scientific rigor. His warning regarding known remedies for the sleep disorders he discusses is another demonstration of his integrity as a scientist dealing with clinical matters. He considers that the book may be approached by a reader whose curiosity about sleep is driven by a problem he/she is experiencing in daily life. An introductory book on sleep, albeit grounded in scholarship such as The Science of Sleep, is clearly inadequate to address the problem. As expected, such a reader is openly encouraged to refer to professionals in the field of sleep for advice and guidance. Nevertheless, Mendelson's narrative can be helpful to individuals who are suffering from sleep disorders. In my modest opinion, the knowledge that can be gathered from each chapter of the book can not only enhance patient-doctor communication, but also prepare clients to respond adequately to the demands of standard assessment and intervention protocols. One of the missed opportunities of the author's narrative can be found in the coverage of theories of sleep. Although his description captures the function of sleep viewed through the lens of diverse theoretical constructs, I do not think there is enough space devoted to evidence that may either support or question them. Namely, more coverage may have been granted to the limitations of the data collection procedures and the nature of the available data as they relate to alternative functional viewpoints. To his credit, the author does state that the key functions attributed to sleep by different theories are not mutually exclusive. Yet, the extent to which specific data collection procedures define not only the data available to scientific interpretation, but also the confines of interpretation are the foundations upon which theories of human cognition and action reside. The reader who is given the tools to understand the strength of such foundations is a reader who is granted the opportunity to evaluate the validity of different theories about the functions of sleep. Namely, he/she can discern independently the extent to which each is more likely to be a proposal whose validity rests on solid evidence than a sensible, but largely untested conjecture of a clever mind. Nevertheless, The Science of Sleep is a book for all who wish to be introduced to a fascinating field of study whose object of inquiry is yet to be fully understood. It is not only for students who are considering this field as a future career, or for readers who are suffering from a sleep disorder. It is a good read for all who want to better understand the impact that this unavoidably recursive event of human life has on the variety of activities they carry out.